Walter Surface Technologies, an industry leader in surface treatment technologies, today announced that it is the recipient of a 2015 Interactive Media Award (IMA) for “Best in Class” websites, International Manufacturing. In order to win this award level, the site had to meet strict guidelines in each area - an achievement only a fraction of sites in the IMA competition earn each year. The judging consisted of various criteria, including design, content, feature functionality, usability and standards compliance. The IMA competition is an international initiative designed to recognize excellence in website design. Bio-Circle expands its bio-renewable cleaning solution line with Bio-Circle CB 100 ALU for aluminium and non ferrous alloys. Bio-Circle, a division of Walter Surface Technologies, introduces CB 100 ALU to its bio-renewable lines of cleaners and degreasers. CB 100 ALU is a heavy duty cleaner and degreaser that is specially formulated for use on aluminium and non-ferrous alloys. 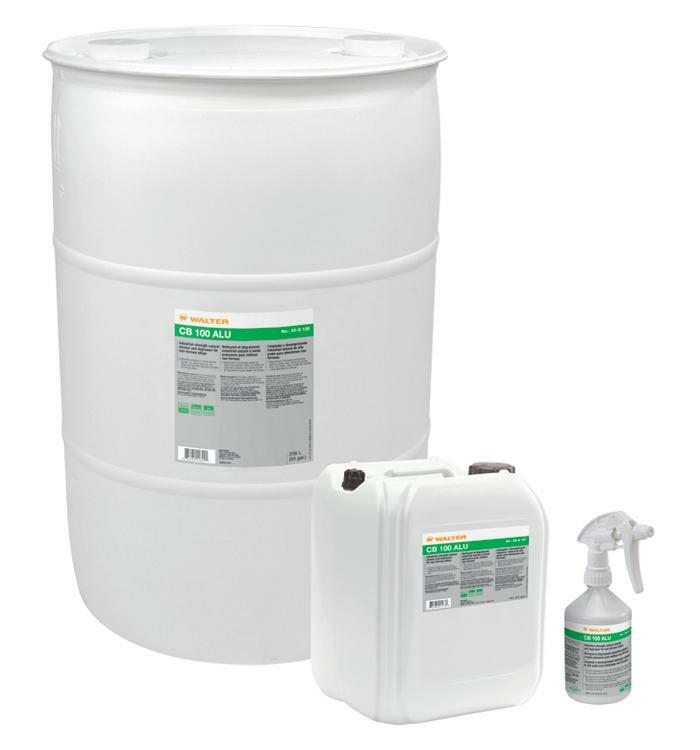 Similar to the original CB 100 cleaning solution made for steel and stainless steel, CB 100 ALU is a water-based solution that leverages the power of Nature Boost. Walter Surface Technologies, a global industry leader in surface treatment technologies, was recently awarded the Supplier of the Year award by Indica Marketing Group. Each year, Indica holds Sell-A-Rama, its Annual Buying Show which brings together key decision makers from Distributor Members and Supplier Partners from across Canada for face-to-face sales meetings. Biocircle.com is now better than ever! If you haven’t visited the new Bio-Circle website already, then get ready to experience the new intuitive website catered to your needs! The launch of the new interactive website offers quick and easy access to essential information on Bio-Circle product including specs, how-to's, and safety information. It is part of our ongoing efforts to enhance the quality and availability of online information to help you work better. In addition, the site is auto-responsive so you can easily navigate using your tablet or mobile devices. It's that time of year again, time for our Annual ZIP™ Wheel Promotion! Contact your local distributor for additional information on special discounting and premium promotional items available through June 30th or while supplies last. ZIP™ Wheels are renowned for their extremely long life, providing the lowest cost per cut in the industry. Use our specially formulated ZIP™ Wheels to achieve fast, effective and free cutting on steel, stainless steel or aluminum. Click here to see the details of the promotion! The "Show Us Your Best" Contest Winner is selected For USA! Check out the video to see the lucky winner’s reaction to the contest! Our first “Show Us Your Best” contest was held last year to award a winner for their outstanding work and contribution to the metalworking industry, with a BRP Outlander Max.